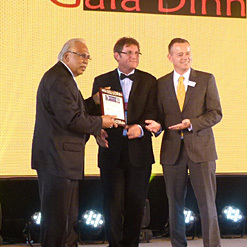 The recipient of this years Practice of the Year 2014 is Dr Sivaguranathan of Malaysia. 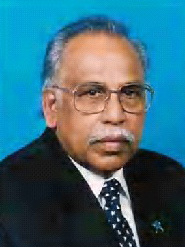 Dr Sivaguranathan established and is current chairman of Kuala Lumpur's Animal Medical Centre. Dr Sivaguranathan is a truly inspirational and worthy inaugural winner of the FASAVA Hills Award. Continued self improvement and education overseas has driven a passion to attain and provide excellence in veterinary practice. Realising the importance of an accurate diagnostic service, an in-house veterinary diagnostic lab was established in 1974. Development in the in house laboratory services lead to this hospital providing pathology services to outside clinics. In the 90's, the laboratory became a benchmark for its fast and efficient diagnostic services to various practices throughout Malaysia. Currently, AMC laboratory is recognised as the only IDEXX reference laboratory in Malaysia. Through various appointments in government and non- government associations, Dr Sivagurunathan devoted his time and effort to introducing Veterinary Continuing Education into Malaysia and has himself lectured in Veterinary Science and Animal Welfare. It is his early awareness and efforts in animal welfare advances in Malaysia that truly make Dr Sivaguranathan a most worthy recipient of this award.